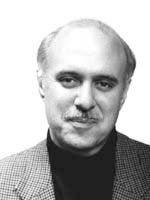 Lawrence Lifschultz was South Asia Correspondent of the Far Eastern Economic Review (Hong Kong). He has written extensively on European and Asian affairs for The Guardian (London), Le Monde Diplomatique, The Nation (New York), and the BBC among numerous other journals and publications. Lifschultz is editor and author of several books including Why Bosnia? (with Rabia Ali) and Hiroshima's Shadow: Writings on the Denial of History & The Smithsonian Controversy (with Kai Bird). He is currently at work on a book concerning Kashmir. Was the assassination of Bangabandhu Sheikh Mujibur Rahman and his family members on August 15, 1975 merely the result of personal malice and an act out of sudden fury of some army officers? Long investigation by veteran US journalist Lawrence Lifschultz has made it clear that there was a deep-rooted conspiracy behind the dark episode of August 15. Lifschultz in a number of investigative reports published in newspapers made it clear that Khandaker Moshtaque and a quarter of US embassy officials in Dhaka were closely involved with the small section of army officers in the August 15 coup. At long last, Lifschultz disclosed the name of his "very reliable source", the then US ambassador in Dhaka Eugene Booster with whom he has maintained close communication for the 30 years. Booster repeatedly objected to the conspiracy leading to the August 15 assassination, even issued written instruction in this regard, but failed to prevent the then station chief Philip Cherry of US Central Intelligence Agency (CIA) in Dhaka office from doing the conspiracy. Lifschultz's plan to publish an interview of Eugene Booster in this regard remained unfulfilled as Booster passed away on July 7 last. The new-born Bangladesh could not save herself from the wrath of then foreign secretary Henry Kissinger who could never forget that Bangladesh was born in opposition to his suggestion. Along with Salvador Allende of Chile and Taiyoo of Vietnam, Bangabandhu Sheikh Mujibur Rahman was in Kissinger's political vendetta. What USA started during the Liberation War in 1971 with attempt to split the Awami League using Khandaker Moshtaque and his accomplices continued after the independence following a direct US instigation, resulting in the carnage on August 15, 1975. On basis of his 30 years' investigation that included interviews with the US sources, Moshtaque and others concerned, Lifschultz has written a series of that tale. The first part of his four reports is published today. The 30th anniversary of the August 15th military coup in Bangladesh powerfully illustrates the dictum of William Faulkner that the past is never dead, it is not even past. For those of us who lived through the years of Bangladesh's 'War of Independence' and the decade of the 1970s, we remember these dates as milestones of an era. They are markers on a road we traveled to a destination many did not reach. After thirty years Bangladesh still lives with the legacy of the violent night of August 15th. Just over four years from that dark March night in 1971 when Pakistani Army troops rolled their tanks and armoured vehicles through the streets of Dhaka slaughtering their fellow countrymen instead of accepting the outcome of national elections they had agreed to accept, a small unit of the new Bangladesh Army invoking the sordid tradition of Pakistan Army staged a traditional military putsch. Within hours, Sheikh Mujibur Rahman, symbol for many of an ideal of liberation, was dead in a military coup d'etat that had run amok in a frenzy of killing. Mujib and almost his entire family were slaughtered including his wife and sons, the youngest only twelve. On that deadly night groups of soldiers broke into squads and traveled around the city killing relatives of Mujib's family. The pregnant wife of one relation who attempted to intercede to save her husband's life was herself killed for her efforts. Mujib's two daughters were abroad and they survived with Sheikh Hasina years later becoming Prime Minister. Yet, only a year ago, she too was nearly assassinated in broad daylight by a hit squad that still "eludes" capture, demonstrating yet again Faulkner's insightthe past is not even past. It is very much present. The political configuration that exists today is a direct descendant of August 15, 1975. The current Prime Minister, Khaleda Zia, was the wife of the late General Ziaur Rahman, the Deputy Chief of Army Staff in 1975, who played a crucial behind scenes role in the plotting that preceded the coup and in the events which followed. At the American Embassy that night political and intelligence officers tried to monitor the unfolding events. But, there was one figure at the Embassy in the days that followed the coup who was particularly unsettled. A small knot had settled in his stomach. The events were an echo of what he had feared might happen months earlier and which he had made strenuous efforts to prevent. I would meet this man in Washington three years later. He became a critical source for me and clearly hoped the information that he provided would one day lead to uncomfortable truths being revealed and those responsible being held accountable. For the first time in nearly thirty years I can identify this individual. I have been freed from a restraint of confidentiality that I have adhered to for almost three decades. But, be patient, with me a bit longer while I explain how and why I came to meet this individual. I was one among many foreign correspondents covering the coup. Yet, I was the only journalist reporting these events for a major publication who had actually lived in Bangladesh as a journalist. I was the Dhaka correspondent of the Far Eastern Economic Review (Hong Kong) in 1974. The following year I moved to New Delhi and took up a new position as South Asia Correspondent for the Review. The violent death of Mujib would draw me into an inquiry that I could never have anticipated would, again and again, hold me in its sway at different stages of my life. My unusual source who worked at the American Embassy that night would encourage me forward by his own honesty and quality of integrity. He was one of those unusual individuals one occasionally finds inhabiting an official bureaucracy. He was deeply distressed about the coup and the subsequent killings. He was a man with a conscience. Unlike the rest of us he knew something others did not and that knowledge tore at his conscience. It was this sense of ethical responsibility that brought us face-to-face in one of the more memorable encounters I had as young reporter. After the coup against Mujib the official story put about by the successor regime and its minions in the Bangladesh press disturbed me. It didn't hold together. Moreover, the cracks began to reveal rather curious links and antecedents. The version of events which emerged at the time was that six junior officers, with three hundred men under their command, had acted exclusively on their own in overthrowing Mujib. The motives for the coup were attributed to a combination of personal grudges held by certain of the officers against Mujib and his associates, together with a general mood of frustration at the widespread corruption that had come to characterize certain elements of Mujib's regime. In short, according to this view of events the coup was an ad hoc affair not a thought out plan a year or more in the making. The morning Mujib and his family were killed, the figure installed by the young majors as President was Khandakar Mustaque Ahmed, generally considered to be the representative of a rightist faction within Mujib's own party, the Awami League. After the putsch, Mustaque remained impeccably reticent about any part he personally might have played in Mujib's downfall. He neither confirmed nor denied his prior involvement. He simply avoided any public discussion of the question and desperately attempted to stabilize his regime. A year following the coup, after he had himself been toppled from power and before his own arrest on corruption charges, Mustaque denied to me in an interview at his home in the "Old City" of Dhaka that he had any prior knowledge of the coup plan or piror meetings with the army majors, who carried out the action. However, the majors who staged the military part of the coup and were forced into exile within four months by upheavals within the Bangladesh Army began to tell a different tale. In interviews with journalists in Bangkok and elsewhere, bitter at their abandonment by their erstwhile sponsors and allies, the majors began to talk out of school. They confirmed prior meetings with Mustaque and his associates. A story began to emerge that Mustaque and his political friends had been involved for more than a year in a web of secret planning that would lead to the overthrow and death of Mujib. A few months after the coup, a mid-level official at the U.S. Embassy told me that he was aware of serious tensions within the U.S. Embassy over what had happened in August. He said that there were stories circulating inside the Embassy that the CIA's Station Chief, Philip Cherry, had somehow been involved in the coup and that there was specific tension between Cherry and Eugene Boster, the American Ambassador. He had no specific details about the nature of this "tension" only that there were problems. "I understand," he said, "something happened that should not have happened." He urged me to dig further. American involvement in the coup didn't make sense to me. 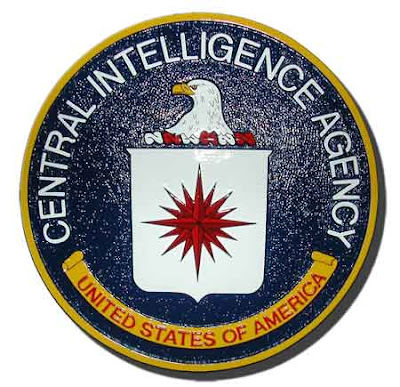 In the United States, two Congressional Committees were gearing up to investigate illegal covert actions of the Central Intelligence Agency. The so-called Church and Pike Committee hearings in Washington on CIA assassinations of foreign leaders had begun. The committee hearings were having their own impact within the American diplomatic and intelligence bureaucracies creating great nervousness and anxiety. The American press was openly speculating that senior American intelligence officials might face imprisonment for illegal clandestine action in Chile and elsewhere. It was the summer when citizens of the United States first heard acronyms like MONGOOSE, COINTELPRO, AM/LASH and elaborate details of assassination plots against Lumumba in the Congo, Castro in Cuba and Allende in Chile. The covert hand of American power had touched far and wide. Now the tip of the iceberg was publicly emerging so that for the first time Americans could take a clear look. Yet, all that was happening far away in Washington, in a muggy heat as sultry as any South Asian monsoon. In India, Indira Gandhi, speaking of the tragedy of Mujib's death, spoke of the sure hand of foreign involvement. As usual, Mrs. Gandhi was graphically lacking in details or specifics. However, her avid supporters during those first nuptial days of India's Emergency, the pro-Moscow Communist Party of India (C.P.I.) were more explicit: the CIA said the CPI was behind the coup. I dismissed this as propaganda based on no specific evidence. Yet, how had the coup happened? There were still huge gaps in my knowledge of how specific actors had traveled through the various mazes they had constructed to disguise their movements yet which ultimately led to August 15th. I was living in England nearly three years after the coup when I decided to make a trip to Washington to visit a colleague of mine, Kai Bird, who was then an editor with The Nation magazine, published from New York. Today he is a prominent American author. Makranis, the Negroes of Pakistan and India. Vandalism and Vandals of Jamat-e-Islami and IJT. Selig S. Harrison on Balochistan - Pakistan.